Introduced by Rep. David Kustoff (R-Tenn.), who is one of two Jewish Republicans in Congress, it was to be added to a resolution calling on U.S. President Donald Trump to withdraw U.S. forces from Yemen. The resolution passed 248-177. 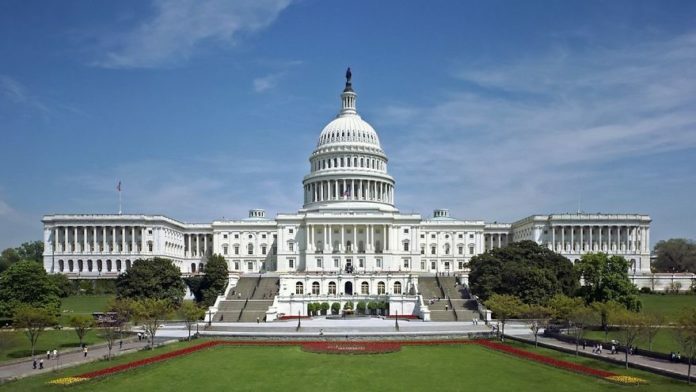 (February 13, 2019 / JNS) The U.S. House of Representatives passed by voice vote on Wednesday afternoon an amendment to condemn anti-Semitism. Introduced by Rep. David Kustoff (R-Tenn.), who is one of two Jewish Republicans in Congress, it was added to a resolution calling on U.S. President Donald Trump to withdraw U.S. forces from Yemen. The procedural vote, a motion to recommit, on the amendment passed 424-0 with Reps. Justin Amash (R-Mich.) and Thomas Massie (R-Ky.) voting present. It was passed in the aftermath of Rep. Ilhan Omar (D-Minn.), who accused on Sunday the American Israel Public Affairs Committee, the largest pro-Israel lobbying organization, of paying members of Congress to back Israel. “It’s stunning how much time U.S. political leaders spend defending a foreign nation even if it means attacking free speech rights of Americans,” he added. Omar’s remarks received swift condemnation from both Democrats and Republicans. The congresswoman later apologized.